Education background as PhD Environmental Engineering, 1989, University of Newcastle-upon-Tyne, U.Kingdom. 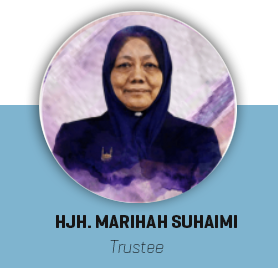 One of the Professional Qualification is Deputy President of Biochar Malaysia, Kuala Lumpur & Graduate Member of Board of Engineers Malaysia (BEM). Current positions as Professor at Dept. 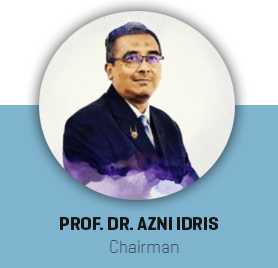 of Chemical & Environmental Engineering, Faculty of Engineering at UPM from December 2002 until to date and Head of Green Tech and Renewable Energy Cluster at UPM from Jan 2013 to date. Working experienced as Assoc Prof at UPM (Jan 1995 - 2003) and Lecturer at UPM (1983-1995). One of the awards/recognition: From Innova, Gold Medal of New Biocoagulant Using Fungi for Treating Polluted Water and Wastewater. Have published more than 30 journals & 30 Conference Proceedings. Provided humanitarian relief to tsunami victims in Acheh in 2005 and 2007. Also visited earthquake victims in Jogjakarta and West Java in 2006. For nearly three decades Dr Hossam has provided the strategic vision to manage, lead and develop a range of international humanitarian interventions around the world. At the start of his career, Dr Hossam served on the Board of Directors of the Egyptian Medical Syndicate, before moving to Islamic Relief Worldwide to manage the core global business activities as International Programmes Director. During this time the organisation increased its global reach, gaining both domestic and international repute and credibility. 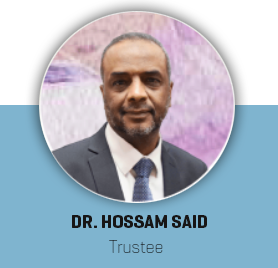 Dr Hossam has also served on the IRW Board of Management and Executive Committee for the past 15 years; sharing responsibility for strategic organisational development and the change management process, whilst forging strong relationships with many other charities. Dr Hossam gained an MBA from Aston Business School in 2004 and graduated as a Medical Doctor from Cairo University in 1981. 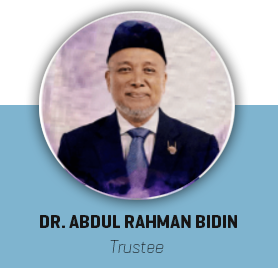 Dr. Abdul Rahman Bidin have experience in academia, government, entrepreneurship and the corporate sector spanning 35 years. He specialises in macro planning and development in key infrastructure sectors including telecommunications, real estate and, most recently, strategic food programmes. A passionate advocate for collaboration, Dr. Abdul Rahman Bidin has teamed-up with several NGOs on poverty reduction programmes and in the mobilisation of Waqf funding for project development. He gained a PhD in Neural Engineering in the UK and is an active member of Malaysia’s Harvard Business School Alumni Club. Tayeb has worked with Islamic Relief for 25 years in various leadership roles starting his Islamic Relief career as Country Director in Albania and moving into the fundraising division of the organisation to play an instrumental role in expanding the Islamic Relief Family and opening up new Islamic Relief offices across the globe. 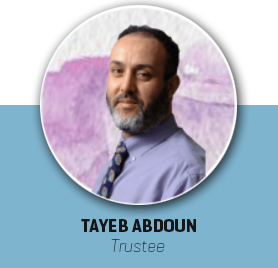 Tayeb graduated with a Sports Management degree followed by a Business Administration and EBMA degree. He is an influential and innovative management consultant, with key skills in organisational change management and programme management with a proven ability to institutionalise best practices, financial controls, continuous improvement and corporate culture to create a competitive global operation. Hakcipta © Islamic Relief (TM) Malaysia 2019. Syarikat Reg. No: 657354-W. Pejabat Malaysia: A-05-01, Paragon Point, Seksyen 9, Jalan Medan PB5, 43650, Bandar Baru Bangi, Selangor, Malaysia. Penafian: Islamic Relief Malaysia tidak bergabung dengan mana-mana laman web luar. Islamic Relief Malaysia tidak bertanggungjawab terhadap kandungan laman internet luaran dan sebarang pautan dari laman web luar ke laman web ini tidak merupakan pengesahan laman web oleh Islamic Relief Malaysia. Penting: Mengenai penipuan e-mel Staf Sumber: Extranet, E-mel, Pejabat. Hak cipta terpelihara.